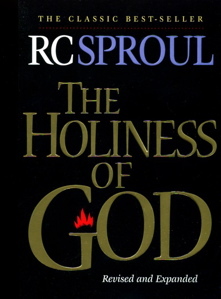 The Holiness of God by R.C. Sproul is a tremendous book that ought to be read by every Christian. The author contends the subject of God’s holiness is one of the most important issues for believers to wrestle with. How one understands the character of God affects everything in life. Worship, service, or true obedience cannot take place without understanding the holiness of God. Dr. Sproul notes the fearful and adverse reaction to what Rudolph Otto calls the “mysterious tremendum” and uses the examples of Isaiah and Martin Luther to drive his point home. The author intends the reader to not only understand God’s holiness from a theological frame of reference but also challenges the reader to live a holy life before a holy God. Holiness of life is more than saying “no” to cultural taboos. Rather, holy living involves controlling the tongue, acting with integrity, and manifesting the fruit of the Spirit. The Holiness of God is a deeply God-centered book. Sproul does not side-step aspects of God that may be uncomfortable for readers to swallow, namely, the justice of God. He does a masterful job at explaining the relationship between God’s justice and mercy: “God does not always act with justice. Sometimes he acts with mercy. Mercy is not justice, but it also is not injustice. Sometimes he acts with mercy. Mercy is not justice, but it also is not injustice. We may see non-justice in God, which is mercy, but we never see injustice in God.” Sproul is quick to counter the typical arguments that run contrary to the portrait of God that emerges in sacred Scripture. Dr. Sproul also skillfully explains the wrath of God (a doctrine which seems to be fading from modern pulpits). In fact, I remember hearing a well-known evangelist say, “God is not angry with sinners.” This popular sentiment is running rampant in our churches and must be exposed and dealt with in a frank and forthright manner. The author raises issues that cause readers to think theologically. The net result is a love for God that can only grow in the awesome light of his majesty and holiness. This is my third opportunity to read this great work, a book that will undoubtedly be in print one hundred years from now. I enjoy it more every time I read it.